Nothing’s better than sitting back on a cold, December day with some hot cocoa, a warm blanket and the newest POW Pick Of the Week Podcast! Am I right or am I right? Holy crap, how exciting! 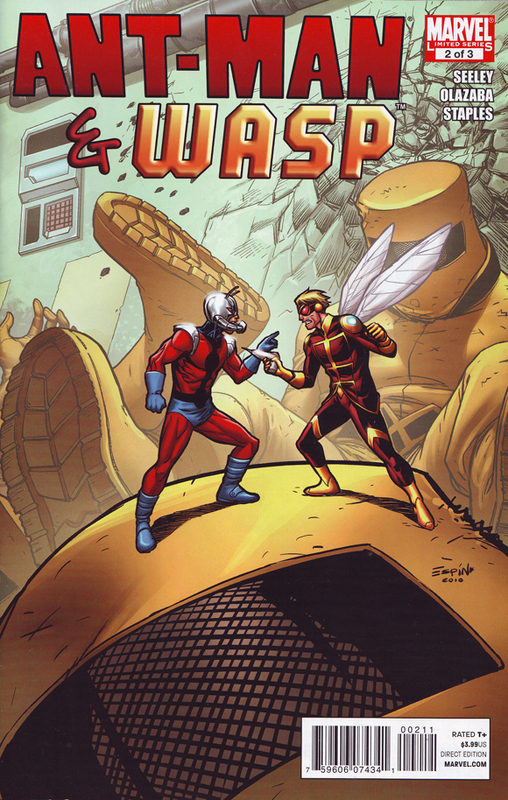 This week Ian gets the honor of picking Ant Man and Wasp #2 which turned out to be one of the only good books in a sea of crappy comics. Hear Simon’s rage over Daredevil’s super, quick-grow beard. Marvel at Ken’s hatred toward disco Wolverine. Plus, find out which comic book needs to fire it’s spell-checker. The guys also talk about Shadowland #5, Daredevil #512, Wolverine: The Best There Is #1,Batman: 80 Page Giant 2010, Generation Hope #2, Captain America: Patriot #4, Batman: Orphans #1 and Sweet Tooth #16.